Most little girls around the world have at one time dreamt of becoming a beauty queen, but probably not of becoming the ‘queen’ of fish sauce. 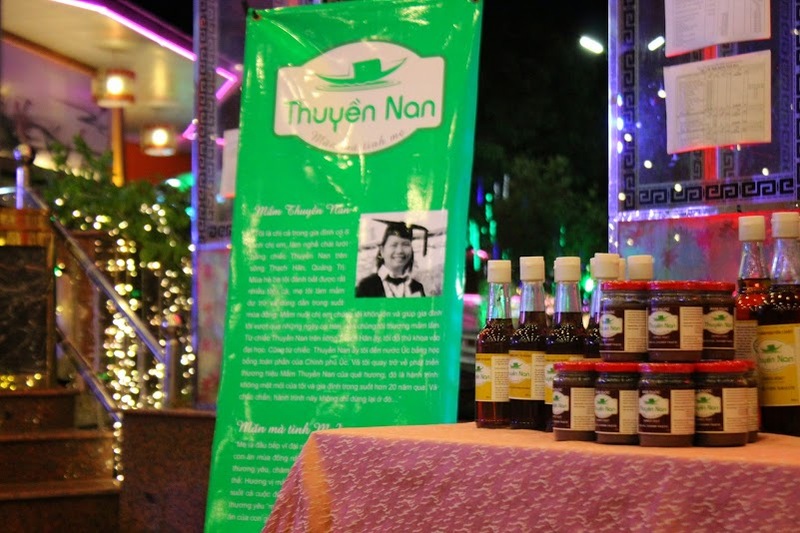 But that is the inspiring story of Dao Thi Hang, who has made every effort to preserve the traditional Vietnamese culture of making fermented fish sauce and has proudly crowned herself the ‘fish sauce queen’. Born into a fishing family of seven children in central Quang Tri province, Hang virtually entered this world genetically programmed to fish. She vividly remembers her loving childhood, when her dad fished the Thach Han River on a small bamboo boat and her mum made plenty of fish sauce, shrimp paste, and fermented fish with green papaya or pea aubergine for the family to eat through the winter. Failing at her first attempt to enter university, Hang took on a tough job at a brick factory. She was determined to change her life by revising hard and one year later passed the entrance exam to the Hue University of Forestry and Fishery. Upon graduating she became one of 20 lucky students to receive the prestigious Australian Leadership Award to study in Australia. Living in a foreign country made her feel a little nostalgic and she dearly missed the foods she enjoyed growing up, but what she craved most was rice-infused and intensely fragrant fish sauce. After obtaining a Master’s degree in Climate Change from Adelaide University, she found herself standing at the crossroads of pursuing a PhD or starting a new career back home. 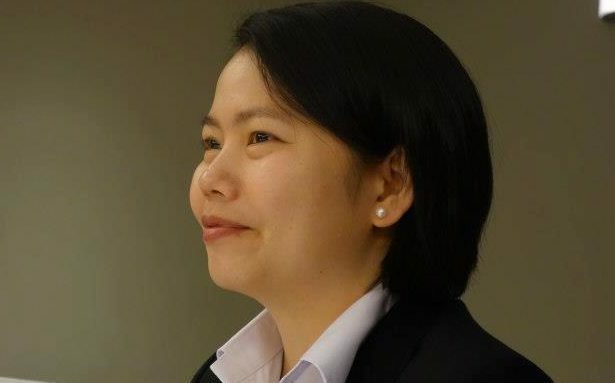 She chose the latter, and was keen on starting a social enterprise to preserve and market the distinctive local fish sauce and other fermented products. And that was how her odyssey to create the authentic Bamboo Boat fish sauce began. During her first year back in Vietnam she spent most of the time travelling to dozens of fishing villages along the coast, from Ha Tinh to Quang Tri, Quang Ngai, Phan Thiet, Binh Dinh, and Phu Yen, to talk to local people and learn more about the artisanal ways of making fish sauce from fermented anchovies. She sadly found that although Vietnamese people have a long history of making this essential condiment, more and more people were turning to bland, industrially-produced sauce. 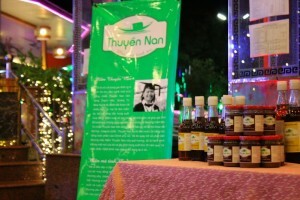 Nearly 60% of traditional sauce is now at risk of being lost forever, taking with it a unique part of Vietnam’s culinary culture. For Hang, Vietnamese food without the unmatched flavour of fine fish sauce would be dismal and just unthinkable, so she became devoted to working with local women in her hometown and reviving the art of making all-natural fish sauce. The most important ingredient in Bamboo Boat fish sauce is freshly caught anchovies from the waters off the central coast of Vietnam. The fish are then slowly fermented with sea salt in barrels over the course of months or sometimes years, to achieve the smoothest, richest flavour following a centuries-old local method. The principle is that when the heavily-salted fish go through a lengthy fermentation period, the salinity of the salt decomposes the fish until it melts into a reddish-brown juice. This fluid is then pressed and filtered out to produce pure genuine Bamboo Boat fish sauce without any added water, preservatives, MSG or colouring. In the beginning Hang relied on social media like Facebook to sell her natural products to a niche market of socially-conscious consumers. Two years after starting her company, she has just opened her first shop in HCMC and set up a distribution network to deliver Bamboo Boat fish sauce to ‘green’ shops and supermarkets around the country. She guarantees that Bamboo Boat fish sauce brings to customers a savoury, sweet sauce of the highest possible quality while at the same time promoting the consumption of local food products and advocating a green lifestyle in the community. 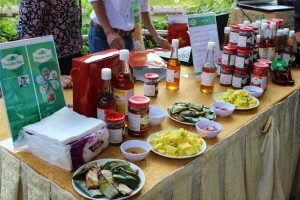 Sustainability and the preservation of Vietnam’s unique culinary culture can only be achieved, she believes, if green agricultural products are developed. Despite the difficulties a small-scale organic food enterprise has to face, Bamboo Boat picked up a head of steam and soon received positive sign from the market. Ms Hong, a loyal consumer of the brand, expressed her support by ordering a wide range of Bamboo Boat products for her extended family. ‘We need more responsible businesses like this, otherwise in the future my children will not know what traditional fish sauce tastes like,’ she said. Meanwhile, Phuong, an office worker in her 20s, admitted she had doubts about the product in the beginning but they were soon allayed. ‘Like many people, at first I though that Bamboo Boat fish sauce was a bit saltier than other popular mixed sauces, but after using it for a while I soon realised its delicious original flavour of only fermented fish and sea salt gave a necessary kick to our dishes, and it’s all natural so why not?’, she said. The success of Bamboo Boat fish sauce is not just about business. For Hang, it is also about empowering people at the grassroots level: women like her mother and aunts, who put love, care, time and persistence into making home-made savoury condiment for their families. Hang believes that if women have regular incomes from making traditional fish sauce they will be more likely to invest in the education of their children. In another effort to support the local community where she was raised, she is committed to spending part of the business’s profits on setting up a scholarship programme for young students in her hometown. She has faith that one day Vietnamese fish sauce will be loved just like Korean Kim Chi or Japanese sushi. For the 29 year old, Bamboo Boat is just the start of an ambitious dream she is keen on pursuing. Reflecting on her own journey from a little fishing village to the Australian city of Adelaide, Hang is determined to lead Bamboo Boat as the ‘fish sauce queen’ on its adventurous journey from the Thach Han River to the wider world. I live in the United States, how do I order this fish sauce? ← ĐÀN ÔNG NÊN BIẾT NẤU ĂN NGON !